Now more than ever, the onus for quality management is a high priority for companies in regulated industries ensure product safety and efficacy, while providing quality, consistency, and traceability. 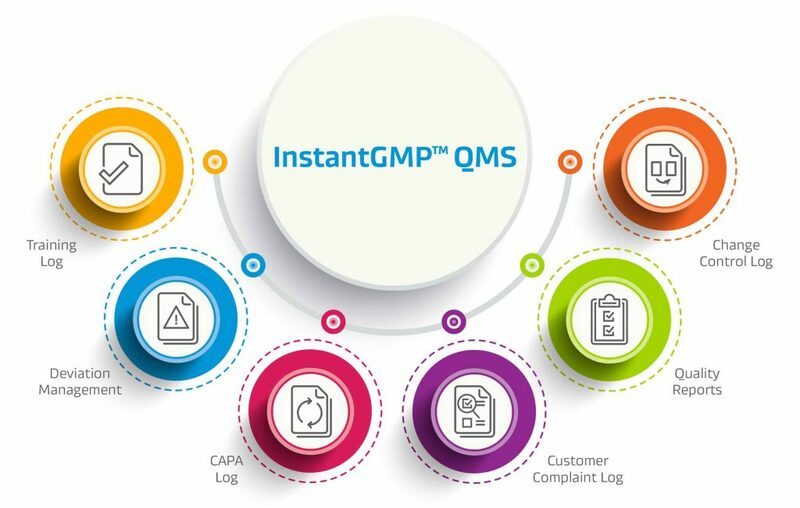 InstantGMP™ QMS is a complete, simple, affordable Quality Management System software designed by quality and regulatory experts for manufacturers of biopharmaceuticals, biotech, cannabis, CBD, dietary supplements, e-liquids, hemp, herbal products, kratom, medical devices, and medical marijuana. InstantGMP™ QMS, together with our flagship batch management software, InstantGMP™, creates a fully connected; compliant production environment.